My professional goal is to find answers to the question of how, in a digital age, we can shape a more ethical media landscape. My expertise and qualifications are inter-disciplinary, spanning ethics, media and law. 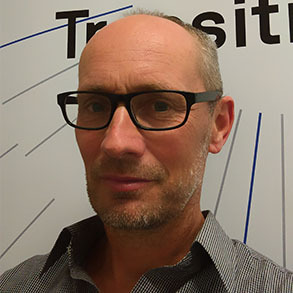 In January 2018, I joined the Centre for Media Transition at UTS as a postdoctoral research fellow. In an era of fake news, AI news aggregators and declining trust in news media, journalism is under threat - and so too democracy. At the CMT, my research (and teaching) areas include digital privacy and trust in news media. In 2017, I finished a PhD applying Kantian ethics to internet privacy. One examiner described it as, "an outstanding contribution to the scholarly literature on internet privacy, one that deftly merges philosophical and legal approaches to a highly complex and rapidly evolving social phenomenon." I am adapting the thesis into a book for New South Publishing. Since 2012, I have been teaching Global Media at NYU Sydney. The course covers the broad sweep of media developments from #metoo to #privacy, from sousveillance to slacktivism. From 1994 to 2012, I worked at The Sydney Morning Herald and smh.com.au as a reporter, blogger, editor, reviewer and, for most of my career, as a senior features writer. It was far too much fun to qualify as a real job. It also gave me a front row seat for the disruption of traditional media by the internet. Previously, I obtained law and arts degrees (with first class honours in English Literature), from UNSW, where I procrastinated by practising free throws. With a love of words and storytelling, I aim to blend the best of journalism (accessibility, nimbleness) with the best of academia (rigour, substance).